When will be Hoges: The Paul Hogan Story next episode air date? Is Hoges: The Paul Hogan Story renewed or cancelled? Where to countdown Hoges: The Paul Hogan Story air dates? Is Hoges: The Paul Hogan Story worth watching? Starring Josh Lawson as Paul Hogan, Ryan Corr as John "Strop" Cornell and Justine Clarke as Noelene Hogan, Hoges: The Paul Hogan Story charts the meteoric rise of working-class Australian icon Paul Hogan whose easy, wise-cracking persona took him from the pylons of the Sydney Harbour Bridge to the heights of a Golden Globe win, Oscar-nominated adulation, unprecedented box-office success and international superstardom, meanwhile forging powerful and enduring relationships along the way. Hoges: The Paul Hogan Story next episode air date provides TVMaze for you.  EpisoDate.com is your TV show guide to Countdown Hoges: The Paul Hogan Story Episode Air Dates and to stay in touch with Hoges: The Paul Hogan Story next episode Air Date and your others favorite TV Shows. Add the shows you like to a "Watchlist" and let the site take it from there.